To drive results, business leaders must start linking people data across internal and external sources to drive business performance. When leaders have a deeper understanding of how to engage, acquire and manage talent—powered by data and analytics—the result is a human capital transformation. Aon has built a portfolio of People Analytics services and products that will accelerate speed to value and sustainable outcomes. From capability and technology enablement to dedicated point solutions across the employee lifecycle to integrated strategic workforce planning and talent strategies, Aon's focus is driving business results. Are we hiring the right people to drive growth? Is my Employee Engagement improving? Do I have the right workforce strategy? Are we retaining employees in pivotal roles? Am I compensating my sales staff effectively? When you are establishing your people analytics foundation, which may include developing a strategy and roadmap, building a service delivery model, evaluating and implementing technology solutions, assessing a build vs. buy solution, Aon helps manage this change and can train broader HR teams around the value and use of people analytics deliverables. Once you’ve decided to build analytics solutions that target specific issues around the employee lifecycle — from planning, to hiring, to developing, to rewarding and to exiting — Aon is there to help you along the way. Analytic solutions that are as simple as combining data from disparate sources, can provide deep insights to your organization. 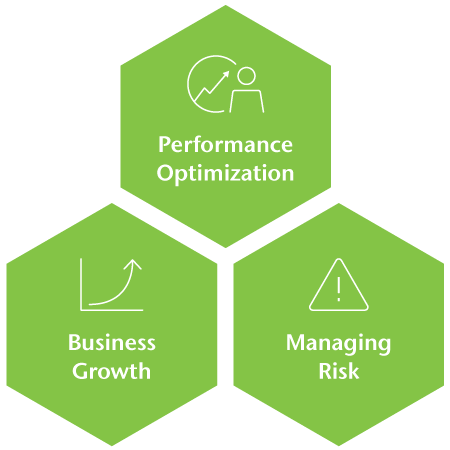 Driving impact means ensuring the delivery of critical business outcomes. Unless people analytics deliverables are directly linked to business outcomes relevant to the success of your organization, people analytics will never be part of its DNA. An analytics-driven talent retention roadmap is a great example of one such deliverable.